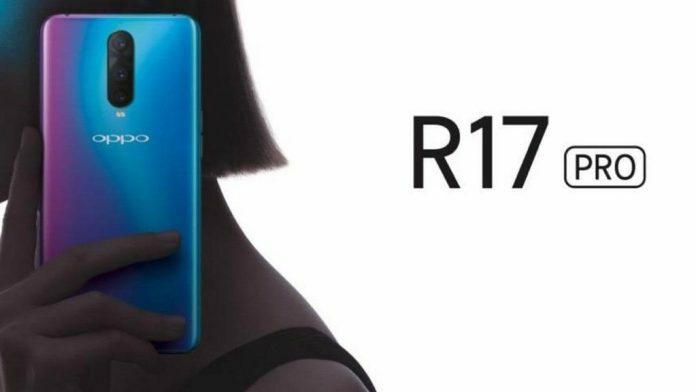 Oppo R17Pro is a new Smart Phone which is come with new features that include a better AMOLED display. The latest smartphone is gonna rank among the trending smartphone of this year. Containing latest Qualcomm SDM710 Snapdragon 710 Chip. Oppo R17 Pro is also specially designed to get the water and dust proof. IP67 rating is also of this fact that this smartphone has solid seals and can be easily protected against the water and dust. Oppo R17 Pro comes with 6.4inches large screen and equipped with 16M Colors which is going to bring colors in your life. Furthermore, its multi-touch support will help you to play games easily. The user can also use more than one finger at the same time on mobile touch. Android 8.1 Oreo operating system is masked with the company’s own color operating system. That’s why it is going to make it look more gorgeous. Oppo R17 Pro comes with 8GB Speedy RAM, through this RAM you can easily play heavy games at super fast speedy powerful RAM. Triple camera (16 MP, f/1.7, 25mm, 1/2.6″, PDAF) + (20 MP, f/1.7, 25mm, 1/2.8″) + (8 MP, 3x optical zoom, AF), LED Flash .